Habib is a serial entrepreneur and an early stage investor. He is the Co-Founder & CEO of Wamda, a platform of programs and networks that aims to accelerate entrepreneurship ecosystems across the MENA region. He is also a Venture Partner of Wamda Capital, a growth capital VC fund. In addition to being a founding member of a number of startups and non-profits, Habib is also the founder of Yamli, the leading Arabic transliteration and smart search engine, and YallaStartup, one of the first support organizations for MENA Entrepreneurs. In 2009, the World Economic Forum recognized Habib as a Young Global Leader and was named as a top innovator under 35 (TR35) by the MIT Technology review in 2011. He currently holds a Research Affiliate position at the MIT Media Lab where he focuses on the science behind building a community. 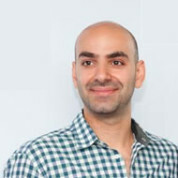 Habib holds a Bachelor’s Degree in Computer and Communication Engineering from the American University of Beirut and a Master’s Degree in Electrical Engineering from the University of Southern California.